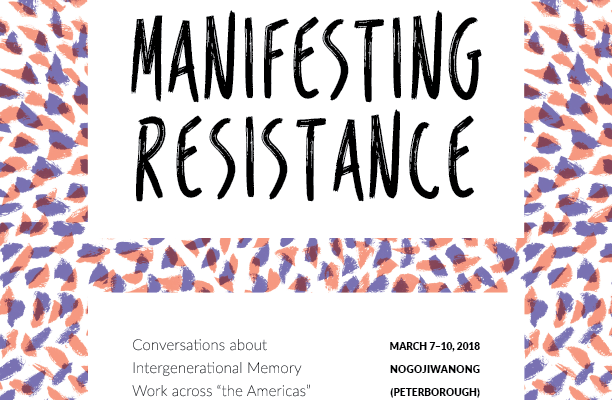 This March 7-10,2018, we are thrilled to be gathering in Nogojiwanong (Peterborough), on Michi Saagiig Anishinaabeg territory, for an exciting symposium and multi-day workshop, Manifesting Resistance: Conversations about Intergenerational Memory Work across ‘the Americas.’ This project has come together as a collaboration between Aging Activisms (based at Trent University, led by May Chazan) and Critical MediArtStudio (cMAS, based at Simon Fraser University, led by Gabriela Aceves Sepúlveda). This gathering will unfold in two interrelated parts. In our opening symposium on March 7th, we will ground our conversations in the land and territory in which we gather – learning about some of the important activist remembering underway in Michi Saagiig territory and here in Nogojiwanong. We will carry forward from this opening the question of how land, place, and territory might shape all of our different memory projects, in varied and possibly unexpected ways. Then, from March 8th to March 10th, we will facilitate a collaborative media creation workshop, working as a smaller group to interview and photograph each other, to share in a series of circle conversations, and ultimately to co-create a collection of short media capsules or digital stories about our memory projects. Throughout, we will learn from each other though embodied workshops and over yummy meals. 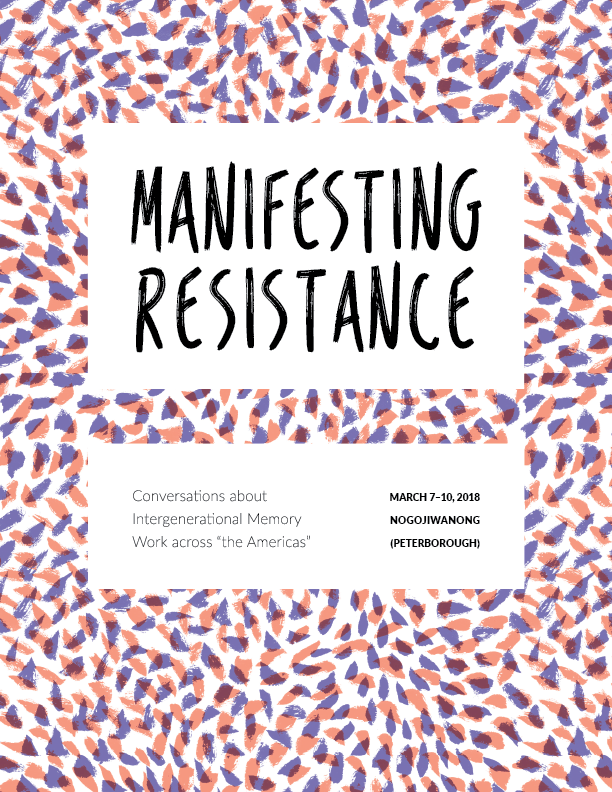 We also hope to foster relationships as a starting point for understanding, supporting, and sustaining intergenerational memory work more widely. As a research event, our collective meaning-making of this work will aim to push the boundaries of how we conceptualize activisms, archives, aging, and the intersections of these.